BBC 1. 6 episodes: 8 March-12 April 1975. 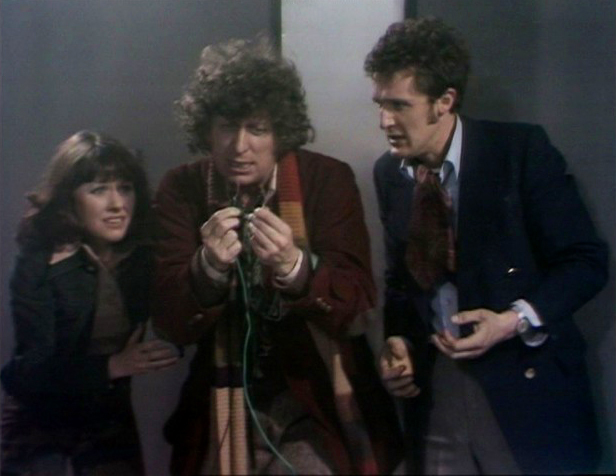 Starring Tom Baker as ‘Doctor Who’, Elisabeth Sladen as Sarah-Jane Smith and Ian Marter as Harry Sullivan. I really don’t think I could leave ‘Genesis of the Daleks’ out of my selection of the ten best Doctor Who stories. It’s become such an accepted ‘classic’ that the choice might seem fairly conventional – but there again it’s become an accepted classic for a reason. And that reason is that it was surely one of the most important stories in the internal history of Doctor Who. Series 12 in 1975 saw the arrival of a new production team (producer Philip Hinchcliffe and script editor Robert Holmes) and a new ‘Doctor Who’ (Tom Baker). It heralded what for many fans (myself included) is the ‘golden age’ of Doctor Who: its period of High Gothic as the series embraced fantasy/horror and the macabre in the mid-1970s. That said Series 12 isn’t yet the fully-blown Gothic horror that we would see in Series 13 and 14. In a sense it’s a transitional series bookended by a Terrance Dicks-scripted UNIT story to introduce the new Doctor – ‘Robot’ might be seen as the last Jon Pertwee story but without Jon Pertwee – and the return after a six-and-a-half year absence of a favourite ‘old monster’ again by a former script editor Gerry Davis (‘Revenge of the Cybermen’). It would probably be fair to say that neither of these stories has stood the test of time particularly well. But in between we had a Robert Holmes classic (‘The Ark in Space’) and a two-parter by Bob Baker and Dave Martin that was written largely as a filler but includes some truly horrific moments (‘The Sontaran Experiment’). And of course ‘Terror of the Zygons’ was to have been part of this series but was held over to the next as part of the switch from a spring to an autumn broadcast pattern. The inclusion of three old-monster stories in this series of Doctor Who can be seen to some extent as a safety-first strategy for Tom Baker’s introduction: surround him with old favourites while viewers have a chance to get used to the new star. It’s significant that once Baker’s popularity with viewers was established, Hinchcliffe and Holmes would move away from old monsters for the remainder of their period. The Master would be the only other returning antagonist (‘The Deadly Assassin’) but even so that was a Master radically different from his previous incarnation. However, from its opening shots – a platoon of soldiers in World War I-style uniforms being mown down by machine-gun fire – there was nothing ‘safe’ about ‘Genesis of the Daleks’. I mentioned in my entry on ‘The Daleks’ how the Doctor’s favourite enemies had a mixed history after their debut story. They were arguably over exposed in the mid-1960s – something that present-day showrunner Steven Moffat has widely avoided with his best monsters the Weeping Angels – and following ‘Evil of the Daleks’ were absent from the series for five years. 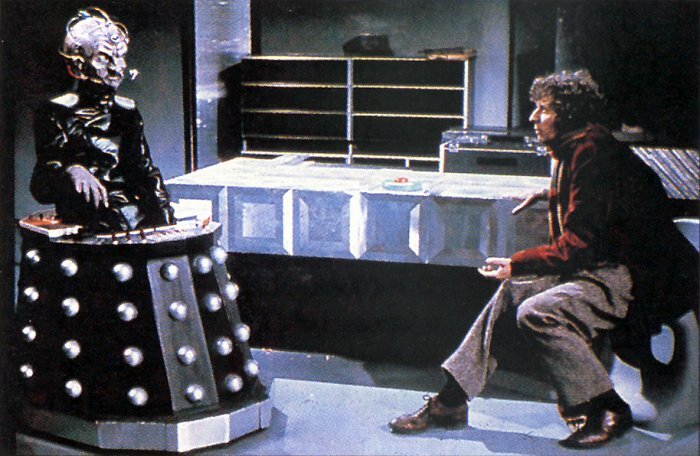 They returned in 1972 with ‘Day of the Daleks’ – an ingenious time-loop paradox narrative hampered by the very visible fact that there were only three rather battered Dalek casings left in the BBC’s props department! The Daleks’ creator Terry Nation returned to Doctor Who to write ‘Planet of the Daleks’ and ‘Death to the Daleks’: neither was very special. And Nation’s first treatment for the next Dalek story was thought too reminiscent of previous adventures: it was Hinchcliffe and Holmes who persuaded him to write an origin story originally entitled ‘Daleks – Genesis of Terror’. ‘Genesis of the Daleks’ is the first example of outright revisionism in the history of Doctor Who in that it presents an entirely different origin story than that previously believed. This has prompted some speculation either that the events of ‘Genesis of the Daleks’ take place in an alternate universe to ‘The Daleks’ (the Doctor’s discovery in ‘Inferno’ that there is “an infinity of universes – ergo an infinite number of choices” makes this explanation plausible) or that the Dalek colony encountered by the First Doctor in ‘The Daleks’ had evolved separately and had lost their racial memory of their own part (the explanation offered by John Peel and Terry Nation in The Official Doctor Who and the Daleks Book). Another explanation is that the Doctor’s actions in ‘Genesis of the Daleks’ change the course of all future (i.e. past) Dalek stories to the extent that they may not even have happened. In ‘Genesis of the Daleks’ the Doctor finds himself on Skaro at the moment of the birth of the Dalek race. He is on a mission for the Time Lords who, abandoning their usual mantra of detachment and non-intervention in the affairs of other races, have tasked the Doctor with either preventing the creation of the Daleks or at least altering their programming so they evolve into less aggressive creatures. Otherwise the Time Lords foresee a time when the Daleks will dominate the universe. It has been widely speculated within Doctor Who fandom that this action – which contravenes all the known Laws of Time – was the first move in the Time War that provides the background to the new series of Doctor Who. Certainly the representation of both the Daleks and the Time Lords as capable of genocide in the new series bears parallels with the representation of a total war in ‘Genesis of the Daleks’. It was in ‘Genesis of the Daleks’ that the association between the Daleks and Nazism became explicit. There had been hints of this in earlier stories: in ‘The Dalek Invasion of Earth’, for example, a Dalek patrol crossing Trafalgar Square can be seen giving raised-arm salutes, while the character of the Controller in ‘Day of the Daleks’ is called a ‘quisling’ by the Doctor. Terry Nation said that while he did not necessarily create the Daleks as a Nazi allegory, this perspective became evident in hindsight and he made it more explicit than ever in ‘Genesis’. Clearly Davros, the brilliant but twisted scientific genius who creates the Daleks in his own image, is meant to be Hitler: his rhetoric of power (“Achievement comes through absolute power and power through strength”) and his high-pitched rantings are nothing if not Hitlerite in tone. Davros is the chief scientist of the Kaleds, who are locked in a total war against the Thals – here characterised as being nearly as nasty as the Kaleds rather than the gentle pacifists of ‘The Daleks’. The Daleks represent the Kaleds’ ultimate secret weapon to end the war – just as Hitler believed the ‘Vengeance’ weapons would bring him victory. The Kaleds, or at least their scientific-military elite, are a highly ideological regime bent on “total extermination of the Thals”. And to make the point even more obvious, actor Peter Miles, who plays Davros’s sinister security chief Nyder, sports ‘SS’ style insignia on his black uniform and Heinrich Himmler spectacles. ‘Genesis of the Daleks’ is also famous for its rehearsal of a classic moral dilemma: what has become known as the ‘Do I have the right?’ moment. At the beginning of Episode 6 the Doctor has set explosive charges that will destroy all the Dalek embryos in the incubation chamber. But he hesitates to set off the charges that will remove the threat of the Daleks. He is worried by the implications of his own actions (“If I kill, wipe out a whole intelligent life form, then I become like them – I’d be no better than the Daleks”) and also reasons that the threat of the Daleks in the future will have beneficial result elsewhere (“Some things could be better with the Daleks – many future worlds will become allies just because of their fears of the Daleks”). This is one of those moments when Doctor Who addresses Big Philosophical Questions: definitions of good and bad actions, whether the end justifies the means, and the responsibility of the individual both to society at large and to his own conscience. 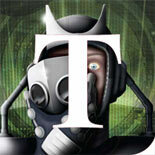 In the event the Doctor cannot resolve the moral dilemma: he cannot bring himself to destroy the Daleks. Soon afterwards, when they have taken over the bunker and exterminated the remaining Kaleds, he returns to the incubator room and this time blows it up: but by now it is too late as the Dalek production line has been activated and the Doctor knows that he has only delayed rather than destroyed them. To this extent ‘Genesis of the Daleks’ concludes with a rare failure for the Doctor – a recognition that he does not always triumph. David Mahoney is one of the best directors of classic Doctor Who – his other credits include ‘The Mind Robber’, ‘The Krotons’ (okay, so it’s no classic), ‘The War Games’, ‘Planet of the Daleks’, ‘Planet of Evil’, ‘The Deadly Assassin’ and ‘The Talons of Weng-Chiang’ – and much of the success of ‘Genesis of the Daleks’ is due to his effective handling of mood and atmosphere. The Daleks themselves are wisely kept off screen for much of the time so that when they do appear – in a menacing matt black finish unlike the gold and white Daleks of ‘Death to the Daleks’ – they achieve greater impact. 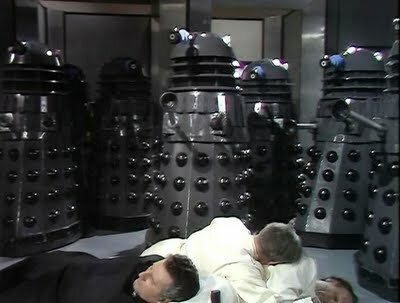 As in the original Dalek story, they are seen mostly within the confines of the Kaled bunker so that the old chestnut of the Daleks and stairs is never an issue. For the first time in the series, special effects laser beams were included for the Daleks’ weapons, which enhance the extermination effect. The opening episode, with its grim representation of warfare, drew criticism from Mrs Mary Whitehouse and her National Viewers and Listeners Association – a sort of self-appointed guardian of the nation’s morals that in the 1970s particular disliked the ‘horrific’ tendency in Doctor Who. This prompts me to offer a few thoughts on the nature of violence in Doctor Who. I think that on some occasions it probably did cross the line between acceptable fantasy violence (we all know this isn’t real, after all) and more realistic violence. Terrance Dicks, for example, asked for his name to be removed from ‘The Brain of Morbius’ when Robert Holmes’s rewrite made it more horrific than Dicks wished. Mrs Whitehouse also complained about the cliffhanger ending of Episode 2 of ‘The Deadly Assassin’ which had a freeze-frame of the Doctor’s head held under water by his antagonist Goth: and on this occasion she may have had a point. But in ‘Genesis of the Daleks’ the violence seems to me to be legitimate. For one thing it’s no worse than many war movies – which in the 1970s were often shown on television in the evenings when children might well be watching (I know I was!). And for another ‘Genesis’ restored the menace and threat of the Daleks: here for the first time we get a sense of them as genuinely nasty creatures bent on genocide rather than as the barking pepper-pots they had been in some previous adventures. Yet in the long-term ‘Genesis of the Daleks’ might have had a detrimental effect on the series in so far as the Daleks would thereafter plays second fiddle to Davros who was brought back in every ensuing Dalek serial. ‘Destiny of the Daleks’ was Terry Nation’s last Doctor Who script: an ingenious premise (two entirely logical warring races in a strategic deadlock seek a tactical advantage) weakened by script editor Douglas Adams’s insistence on campy humour (“If you’re supposed to be the superior race of the universe, why don’t you try climbing after us?” the Doctor taunts his oldest enemy). The Daleks appeared only three times during the 1980s (excepting a lone Dalek in ‘The Five Doctors’) in stories that at least suggested the writers were trying to do something different with them. ‘Resurrection of the Daleks’ anticipates the Dalek-human hybrids of the new series (first seen in Moffat’s ‘Asylum of the Daleks’). ‘Revelation of the Daleks’ has Davros posing as the ‘Great Healer’ and cultivating human beings to turn into Dalek matter – again anticipating the new series. And ‘Remembrance of the Daleks’ has a full-scale Dalek civil war that culminates in the Doctor destroying Skaro with a super-weapon called the Hand of Omega – apparently Sylvester McCoy’s Doctor had overcome his predecessor’s qualms about destroying an entire intelligent species. This entry was posted on December 18, 2014 by Who Watching in Classic Doctor Who and tagged David Maloney, Elisabeth Sladen, Genesis of the Daleks, Ian Marter, Philip Hinchcliffe, Terry Nation, Tom Baker, Top Ten.